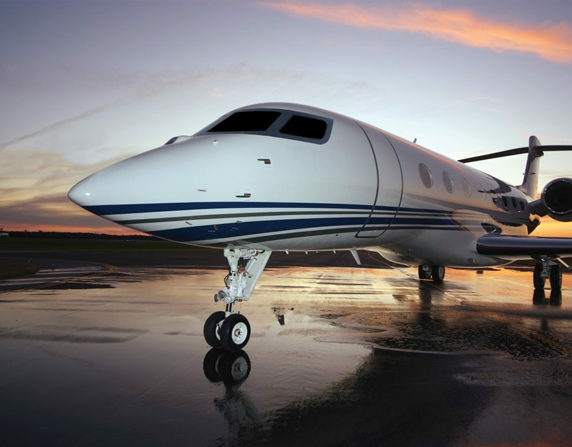 Air Charters is a full service, aviator-owned private jet charter company based at Teterboro Airport with over 35 years of experience flying and maintaining jets, and a perfect safety record. We offer private jet charter services to businessmen, political leaders, celebrities and individuals who expect luxury, convenience, safety, and rock solid schedule dependability. When pricing your charter flights to or from the NY area, Air Charters has a unique advantage: many of our planes are owned by us and based right on the tarmac at Teterboro Airport (TEB). No Broker Fee overhead gets added to our quotes. If you are flying out of the New York area and especially Teterboro Airport, our jets are already here and don’t have to be relocated. Our departure window at TEB and most NY area airports is faster than other charter companies, no matter what they say on their websites. We can have you in the air within 2 hours of booking or less. PrivateJet Charter With over 30 years of industry experience, we are the preferred choice for private jet charter companies in the New York Area. 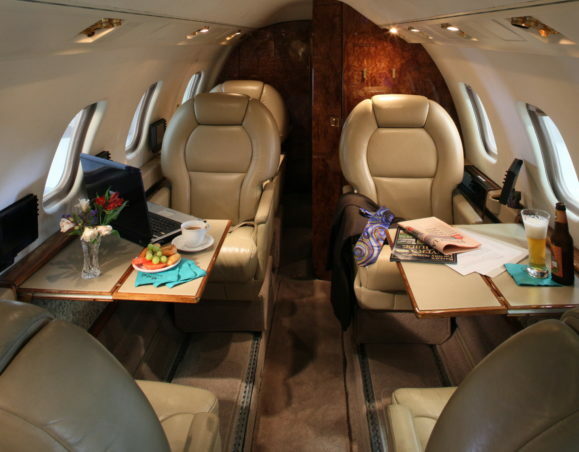 First ClassAmmenities Travel in style and charter a jet with all the comforts of first class and more. 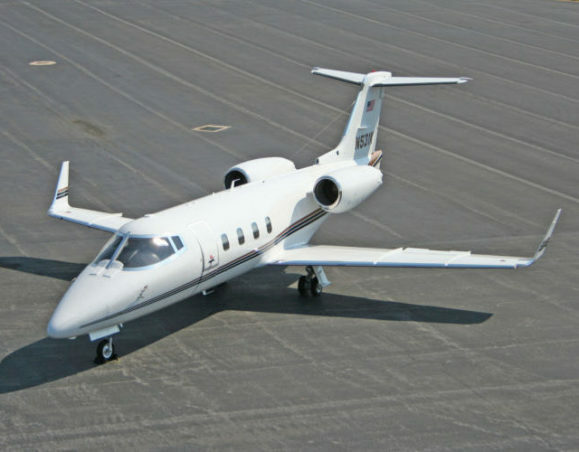 Affordable Luxury The Lear 55 is a great choice in affordable luxury for private charter flights with groups of up to 8 people. Leaving From Teterboro? We Are One Of The Most Affordable Private Jet Companies In The Industry! Unlike pure jet broker services, we also own a fleet of luxurious Learjets and Gulf stream Jets available for private charter services. They are based right on Teterboro Airport which means that we don’t have to move them to depart. If your travel plans involve less than 8 people, and can originate at Teterboro, you may find that our prices and service for flights up and down the eastern USA can’t be beat. Throughout your trip planning you will deal directly with our management team who will be able to provide you a wide range of amenities that make your private jet chartered flight comfortable, luxurious, and hassle free. We offer all the comforts of real first class air travel without the hassle of waiting at crowded airports. We know you’re paying a premium for your private jet charter service and so you can count on the highest level of personalized service and support to make your flight as comfortable and seamless as possible. Tour multiple colleges across the country in a weekend! CelebrateSpecial Events Celebrate your special events in privacy and comfort by chartering a private jet with Air Charters. 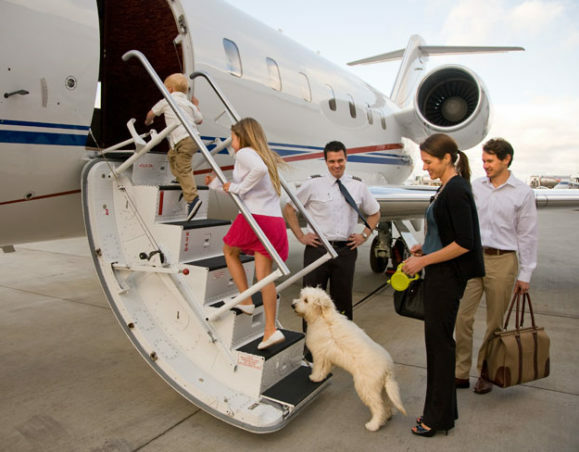 PetPrivate Plane Charter Pets are welcome on our planes and can travel in the cabin with you. 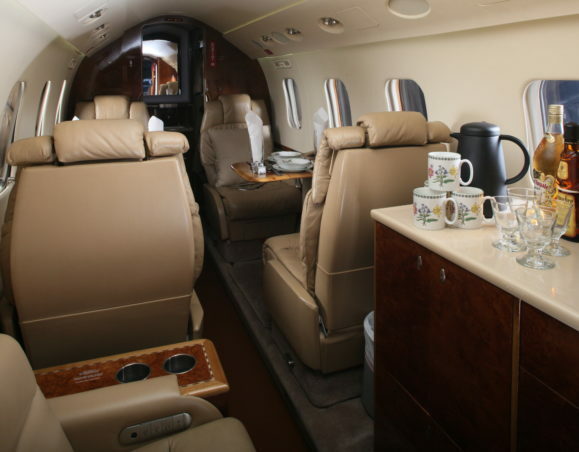 Air charters can handle groups of virtually any size leaving from any destination in the NY and NJ area. You will find our private jet rental rates especially competitive for flights up and down the eastern USA for groups of 8 or less.